Being annoyed from marketers’ unknown calls or messages, from now on you don’t have to. There are some best call blocker app for android user to get rid of those promotional messages or call. Easy to install and easy use can block those calls. Sometime listening to music in your best headphones and you hear caller tune, after picking the call you see it’s a promotional call and to avoid such annoying situation you need app like these. An effective way to keep yourself aside from spam calls and texts and now whenever your phone beeps it would be a personal message not a promotional call or message. The article will help you uncover different facts and features about those spams call blockers application for android and even IOS users. True-caller app is widely used as a spam call blocker for Android user. Came up with easy understandable GUI and gives you the free and direct access to user different feature. The app is a free in google play store or app store hence it’s the best free call blocker apps for download. You don’t have to pay for the extra features. The different feature that makes True-caller the best call blocker app for android is because it gives you the access to block spam call, messages and even give you a unique feature of Caller ID from unknown calls. The app also suggests the names of unknown calls from your past history or different social apps. The true-caller app has quick dailer that enables you to block SMS or calls from marketers and it have a blacklist that gives you the option to block messages or calls. You want an app that can modify the contact list for blocking unwanted call or messages, then you have picked the right one. This best free call blocker app gives the access to both own contact list to block their text or calls or even spammer. The interesting feature in the Call blocker is to make two different list where you can edit whom to block and whom not to. This call blocking app for android gives you some extra feature of keeping a white list of those contacts member that you don’t want to block. The best side of the app is to give specific time at which you don’t want disturbance of call or messages and when that time passed, people can call or text to again. 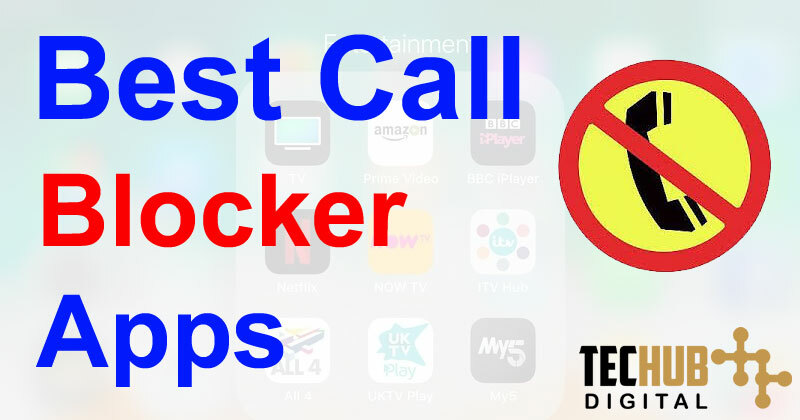 Blocking of call and text from both private number and own contact while excluding the white list and even schedule the time of call and text blocking, all these features in just one free downloaded app makes it the best call blocker app for android. Yet another alternative for blocking spam calls and text messages from either unknown people or marketers can really save you the annoying time. The app is free, hence it’s the best call blocker app for android. It came with simple use due to simple GUI and gives you different feature ranging from keeping a white list aside whom you don’t want to block and a blacklist that give the access to block the number from annoying one’s. Easy to use and a free app from google play-store can keep the records to blocked or rejected number and you can access them easily. The app is not much of featured one but the easiest use makes it a good option for people who don’t want disturbance in their private hours. The app features are just like call blocker but it has a unique of SMS ID finding. One of the best free call blocker apps is now available free for its user to avoid annoying people text or call. The app came with different function like caller identification before it even beeping on your android screen and block both private and spam caller. The unknown caller or text message ID can be identified before you can see the number on the screen. Most importantly the free Hiya app can be used by anyone due to simple GUI and all the feature are free for the user. The best call blocker apps for android give you the real time caller or text ID identification and now you know everyone unless they text or call you. Another best call blocker app for android is Call control, like every other app you can also block call and text messages from both spammers or personal contact member. The unique feature that is provided by Call control is community IQ feature to block robocalls. There is a blacklist for keeping the record of the contact or spammer you want to block there text or calls and hence the best call blocker app for android. More, it also provides the real time call ID identification and now no one is unknown for you. There is Not disturb mode that enable you avoid private time from call and text. There are a lot of call blocker or text block application in android peripheral but these are the recommended one and also free featured app that serve you the best and also mode them according to your own choice.